Jackson Lyle Lewis is in a league of their own when it comes to service. 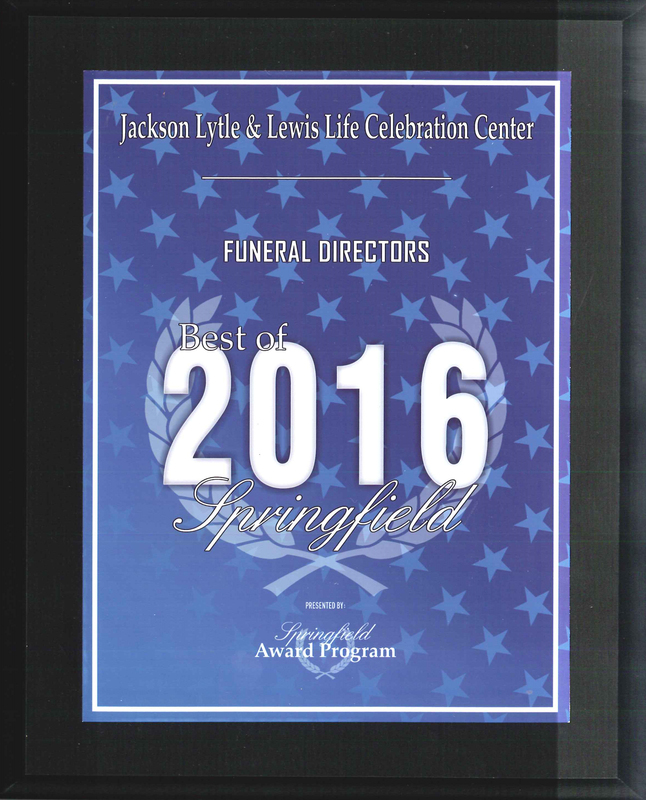 We have been recognized locally as the Best Funeral Home in Springfield for five consecutive years. 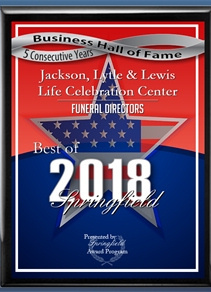 Also in 2015, owner Frank Lewis was recognized nationally and the runner-up Funeral Director of the Year from the American Funeral Director - see article below. 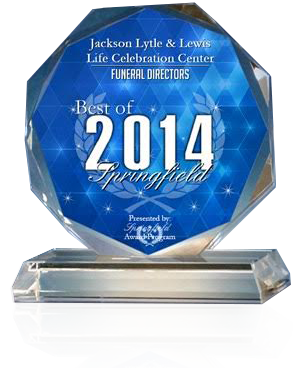 - Our life Celebration Center is the only facility built specifically to provide Life Celebrations & funeral services. This means open, comfortable, homey spaces - not small chopped up accommodations and no one ever has to stand outside waiting to pay their respects to the family. - Our Celebration space includes a family tree with a variety of picture frames provided by us. This space also includes two custom keepsakecabinets to display your pictures in a professional and attractive appearance. Take a virtual tour. - The furniture & decor is bright and homey and includes a custom built fireplace, couch & pub tables which allows our older guests to sit down more easily and comfortably. - We provide every family with two Life Tribute DVDs at no cost - we know how important this keepsake item is to families and their grief journey. We also provide one Life Tribute Candle at no cost. - We provide "Share Your Memory" cards for family & friends to fill out and we deliver back to the families as another keepsake. 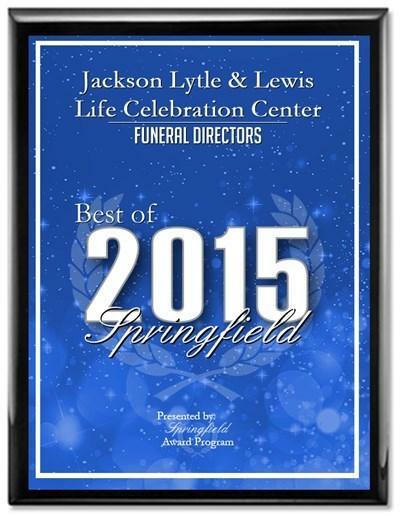 - We have four certified life celebrants (the only celebrants in Springfield) on staff to help families create the celebration they deserve. 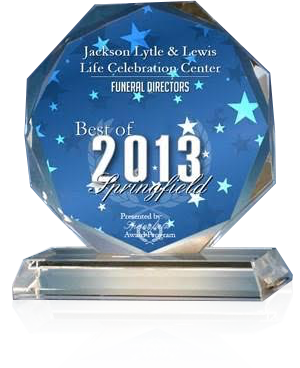 - We have the only female funeral director in Clark County if you would rather have a woman help you create your event. - We offer discounts to veterans that pre-arrange as a way to say thank you for their service to our country. - We use flat screen TVs with your loved ones photos & theme of the service to identify the room for the celebration and welcome family and friends. - We offer digital register books that the family can have as a keepsake. This unique product includes pictures provided by the family as well as service information, names and addresses of attendees alphabetized, labels for thank you cards, condolences from our website and pictures of flowers and cards for later reference. This is truly a gift to the family. - Child/Grandchild Program - we believe that parents should not have to bury their children. Therefore, we donate our services to families that have a need for our services for a child/grandchild age 21 or younger. This allows the family to focus on the emotional burden and not the financial burden. - Public Service Program - we donate our services to any public servant that dies in the line of duty. - On-site banquet room is available for our families to use at anytime. It provides a private space for a family meal, eliminates the need to travel to another location and can seat 50 people comfortably. This room is also equipped with a 133" flat screen & projector, which is a great place for families to gather and share memories and is provided at no cost to the family. - Private family lounge - we provide a safe haven for families complete with a massage chair, mini-fridge and fireplace. This gives the family a place to relax, recuperate and regroup during services if the need arises. - Children's room - we know that children don't always have the capacity or attention span for a funeral service. With this in mind we created a separate children's room with a chalk board wall, movies, coloring books, bean bag chairs, etc. that provides a safe place for children while their parents attend the service. 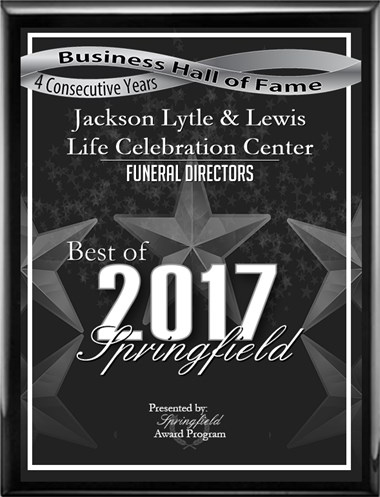 - The quality of our facility & staff combined with the expertise & passion of our directors all focused on serving our families & community is what makes us the provider of choice in Springfield.